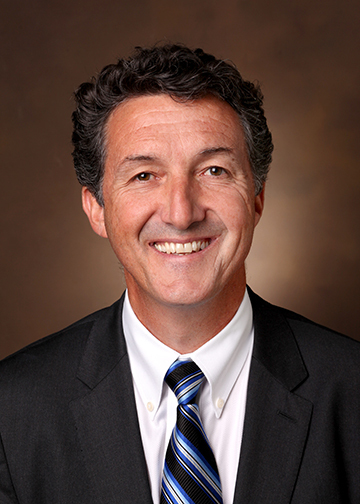 Dr. Perdikis joins our surgical faculty as Chair and Professor of Plastic Surgery after holding the positions of Professor and Chair of the Division of Plastic Surgery and Medical Director for the Mayo College of Medicine at the Mayo Clinic in Jacksonville, FL. His clinical areas of interest include breast reconstruction, aesthetic surgery, revisional aesthetic surgery, and reconstructive microsurgery including the surgical management of lymphedema. Dr. Perdikis is board certified by the American Board of Plastic Surgery and is a member of the American Society of Plastic Surgeons, the Southeastern Society of Plastic and Reconstructive Surgeons (SESPRS), and the American Association of Plastic Surgeons. He has served as president of the Florida Society of Plastic Surgeons, as a Board Trustee for SESPRS and currently is Co-Chair of the Practice Management Committee of ASPS. Dr. Perdikis research interests include breast reconstruction outcomes and preoperative planning, communication and safety in surgery, facial aesthetics, and fat grafting. He has presented and been an invited speaker both nationally and internationally. Perdikis received his medical degree at the University of Witwatersrand in Johannesburg, South Africa. He served as house officer at Groote Schurr Hospital in Cape Town, South Africa, and senior house officer at West Suffolk Hospital in Bury St. Edmunds, United Kingdom. He completed a general surgery residency and a research fellowship at Creighton University Medical Center in Omaha, Nebraska, as well as a fellowship in Plastic Surgery at Vanderbilt University School of Medicine.